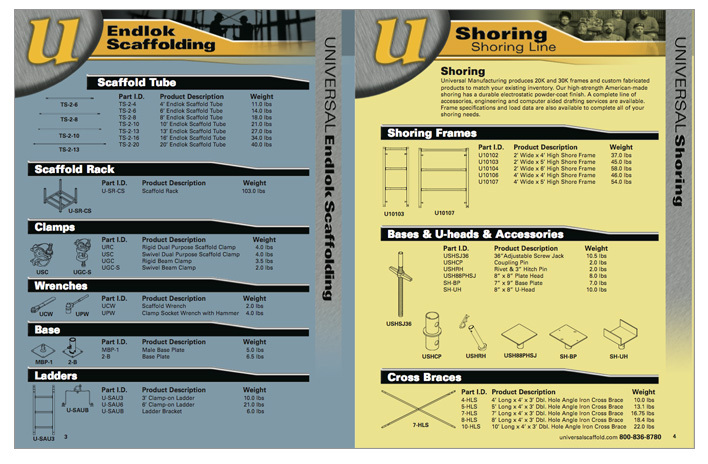 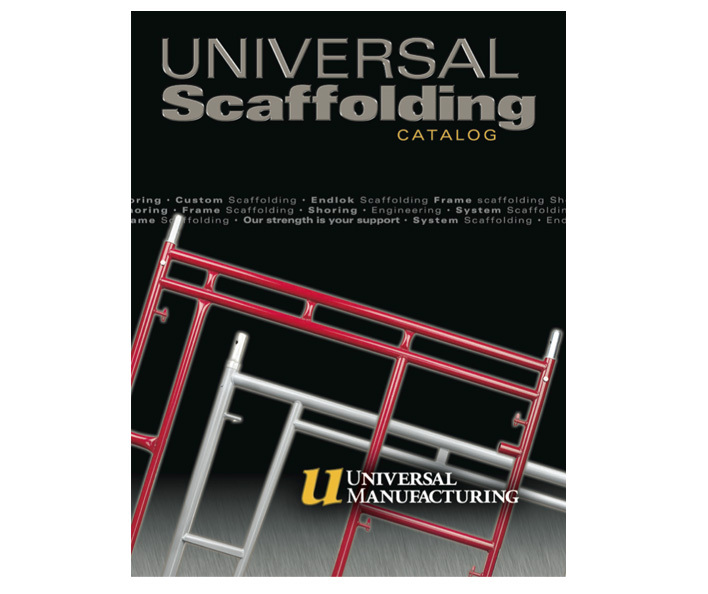 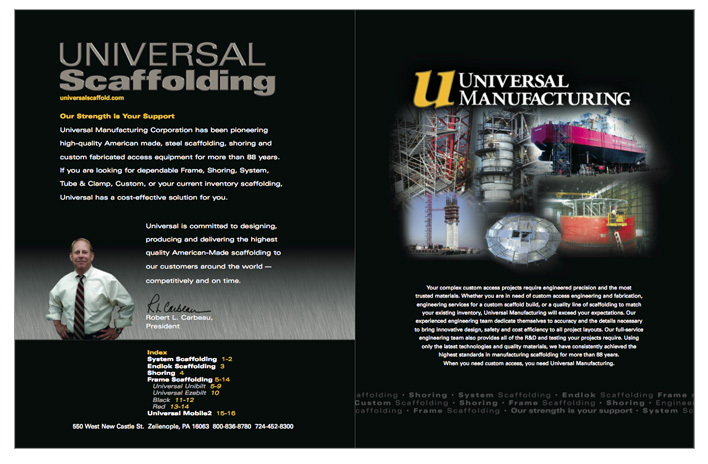 Universal manufactures a full line of scaffolding products offered direct and through distributors across the United States. 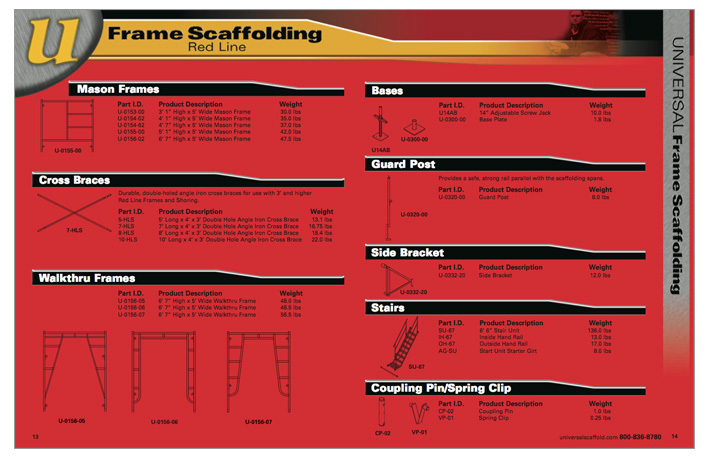 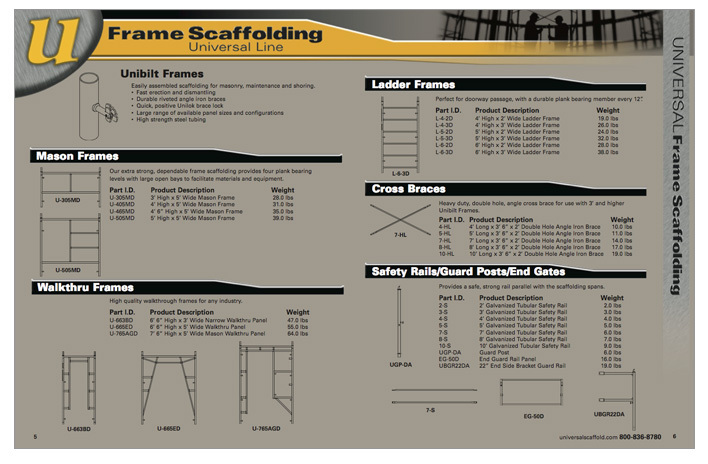 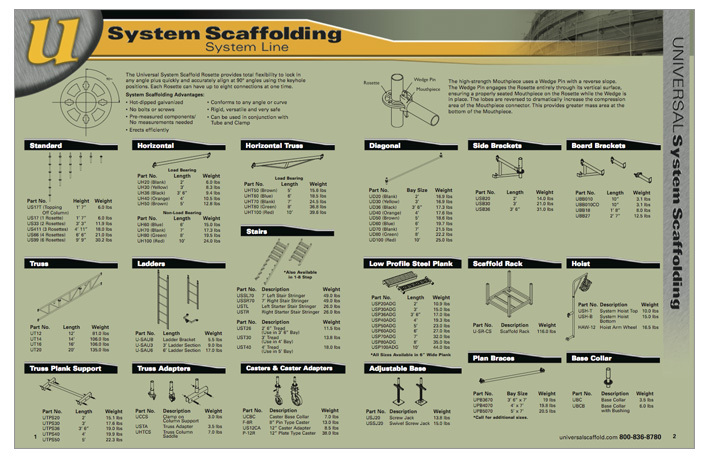 We designed a 20-page catalog that organizes scaffolding by type, size and specifications, with identifiable illustrations for ease of reference and selection. 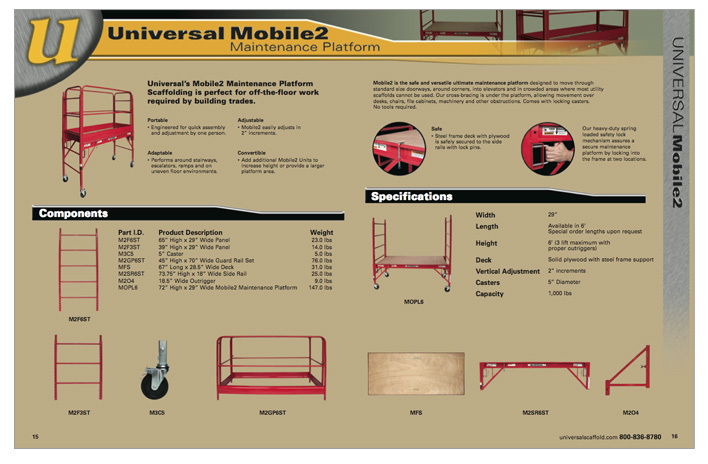 This catalog is also implemented on the Universal website for easy online reference.